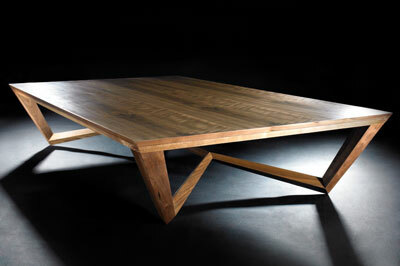 Paul Case Furniture was established in 2006 and currently holds an enviable position in the Wood Awards' 2012 shortlist with the 'Spyder' collection. But it wasn't that long ago that Paul Case was working as an accountant in the City. Paul always enjoyed getting his hands dirty and as a youngster used to relish the opportunity to help with anything practical around the house. After studying architecture at University - a choice Paul believes still resonates in the sculptural quality of his furniture - the need to earn some money became acute and brought him to London. By his own admission Paul "never enjoyed accountancy and although working for some major blue-chip companies, was always a bit rubbish at it!" There were many times during his eight-year stint that he looked for a way out, but the answer eluded him. It wasn't until he found himself back up North and engaged that he realised his urge to take a course with Master Craftsmen teaching the ways of fine furniture. Unfortunately the courses he wanted to take were mainly in Devon - 280 miles away. To Paul's amazement his then fiance, now wife, Sarah was supportive. "Get your mid-life crisis in early, and don't tell me we're too poor to have kids!" was her advice. 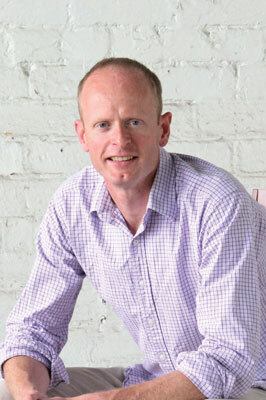 Today, although money is still tight, Paul Case Furniture has been running successfully for six years, and Paul and Sarah have three children. Paul Case Furniture has made it down to the final four in the Wood Awards' 'Production Made' category for his 'Spyder' collection - currently residing at London's Carpenters Hall for judging. The 'Spyder' collection comprises tables and chairs made from American black walnut (Juglans nigra) and American red elm (Ulmus rubra) which were showcased at London's Decorex 2012 to a warm reception. Paul describes the collection as, "elegant and simple in form yet intricate and interesting" and I'm inclined to agree. Of the Wood Awards shortlisting Paul says, "being endorsed by people you look up to is very exciting and gives you a real boost." Another favourite is the walnut chest of drawers, which was made soon after Paul set up his first workshop, and displays an elegant simplicity akin to the 'Spyder' collection. 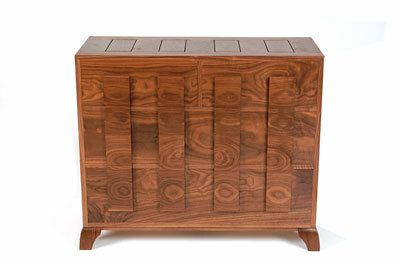 Its interest lies in its handles and the grain pattern. 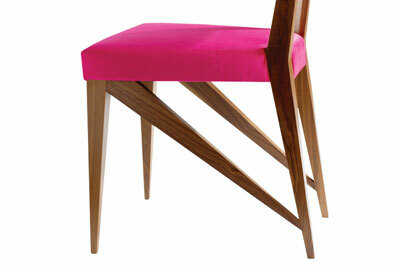 The design ethos of Paul Case Furniture is that the pieces produced must be beautiful, functional and interesting. Combine this with Paul's belief that it is the responsibility of designer/makers to "move the world of design forward or else furniture will stagnate and ultimately we will be out of business." Over 50% of Paul's business is still bespoke and this does create the pressure to constantly come up with something new. But this is no bad thing Paul believes, "it just means you have to ensure we never stop being creative." There are times when Paul and the two part-time employees that make up Lancashire-based Paul Case Furniture hit a creative brick wall when designing. Occasionally it seems almost impossible for them to come up with anything new to the point where it feels like all the possibilities of furniture design have already been covered. But Paul has an effective way of countering this: "At these times I reassure myself by thinking of the world of architecture and imagining that at different periods through history people must have thought they had this building thing sorted! The perfection of a Wren church; the purity of a Mies van der Rohe house; the human achievement of the tallest building - how can you beat those? But then you see a really good scheme for something like affordable housing and you remember how new design is always set in time and so the possibilities are always moving forward." By mentally surveying the entirety of humanity's ability to invent, Paul reminds himself of the endless possibility for innovation: a heartening way to pluck inspiration from the ether. As Paul's shortlisting at the Wood Awards is in the 'Production Made' category I ask him whether he ever feels there is a tension between creating both bespoke and batch pieces, imagining that there is some kind of sacrifice of artistic integrity in mass production, but Paul's response changed my mind somewhat: "I don't particularly see a great tension between making bespoke or production pieces - as long as you feel you are designing interesting things. At the end of the day we are all trying to survive in business - and to earn a living doing something we love. If we can make some pieces that generate a predictable amount of profit on more than one occasion then we should be very grateful. From a design perspective I think repeat items are much harder to design. With bespoke you are just trying to please one client whom you have direct contact with - you can discuss things and pick up on their specific aesthetic and functional requirements. With repeat items you need to design something with broader appeal which people will commit to having had limited - or no - interaction with you and against a selection of alternative designs which they will be aware of as well." 'Recession' is a word that leaves a bitter taste in the mouths of many of us at the moment, and I'm not going to start overusing it now. But aside from obvious talent, Paul's realism and positivity appears to be a huge factor in the success of his business, which emerged at a very tenuous time for the furniture industry. "It really is a hard business to make add up," Paul says, "but I do think that we can try and think about the fundamentals of it - what are our constraints and how do we ease them; what are our strengths and how do we utilise them, and financially how can we ensure we make a profit?" A lot of people reading this will be aware of the realities of running a bespoke furniture business - it is like being on a hamster wheel trying to make your cashflow work. Aside from the labour-intensive nature of producing batch furniture, production pieces demand large amounts of time dedicated to promoting them; to use bland business terms: marketing and then sales. And if all that works then there's the time dedicated to actually making the pieces as well. I always try and think about how the business should be set up and how to get out of it what I want in the medium term, and most importantly I try and think positively about having a furniture making business." 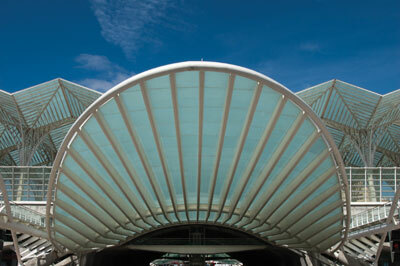 One person I have always found very inspiring is the Spanish architect Santiago Calatrava. I really admire the imagination he puts in to all his buildings and how he can alternate between bold, high-impact exteriors and subtle, beautiful detailing. he generally manages to create something that is both flamboyant and yet resolved and functional. I remember seeing his train terminal at Lyon Airport and thinking wow! It is very dramatic and you can imagine that the design barely changed from the original thumbnail pencil sketch he did. However, it is reassuring to know that even superstar architects are human - his Concert Hall in Tenerife is terrible - in my opinion. But as dramatic as his structures are, it is one of his most simple buildings which is my favourite. 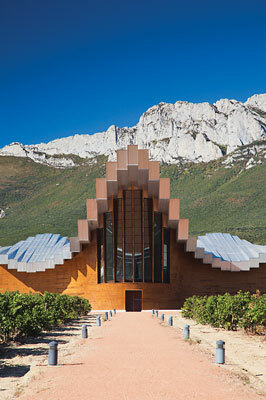 His work at the Bodegas Ysios vineyard in Spain is a long, low building which has a wave pattern in its footprint and also a wave pattern along its roof. The building is fantastic due to its uncanny ability to merge beautifully into the mountainous scenery which is its backdrop - whilst also being a stand-alone sculpture in its own right.